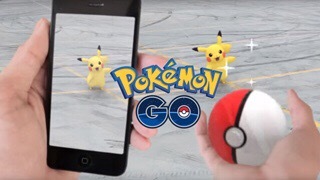 Pokemon Go is an international phenomenon that has been able to tap into a wider market than any other game has ever been able to. People who have never liked Pokemon and most likely will never have managed to sink a ridiculous amount of time and money into the game. The question on everybody’s mind is, why? At the time of my writing this, Nintendo’s market value has risen by over 7 billion dollars, and Pokemon Go is happily sitting as the #1 most downloaded game and top grossing game. The Pokemania is pure insanity. I mentioned a little earlier how people who don’t even like Pokemon are still managing to find enjoyment in Pokemon Go. I know this because I am one of those people. I don’t really care about Pokemon, I’ve never liked the games or enjoyed the anime. It always alluded me since everyone that I knew loved it! It made me feel left out of some grand unifying movement. It was the inside joke that no one had ever decided to fill me in on. With every new iteration of the game my disinterest with the franchise grew exponentially until it wasn’t even a blip on my radar. 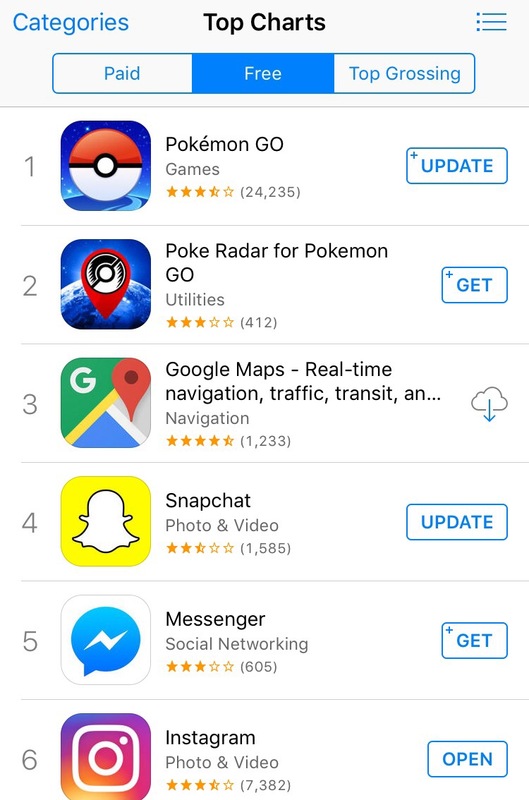 So, color me surprised when Pokemon Go hits the App Store and I immediately loved it. I tried Ingress (the previous game by Niantic) but it almost immediately bored me. There was nothing of substance there to keep me playing. The shocking fact is that Pokemon Go is just a fresh coat of paint over Ingress. There aren’t a lot of major changes in the product that should make me want to play, nor do I have the love for Pokemon that would keep me hooked to the license. It’s really baffling to me and really speaks volume on to the weight of the Pokemon name. Pokemon Go has even hit people that didn’t even have interest in games. Kids, Teenagers, Parents, Grandparents, everyone is out there catching Zubats and Rattatas. As a game, it is a particularly shallow affair. The combat is dull and uninspired, simply requiring you to mash your screen until you either win or lose. And, it’s entirely a numbers game. If you have a Pokemon that has less CP (Combat Power) then your opponent, you might as well call it quits. Yet, that’s not what people care about. What people care about is the physical activity. People finally have something to do. I enjoy running but I won’t lie, I get bored. There’s only so much that a podcast can do. 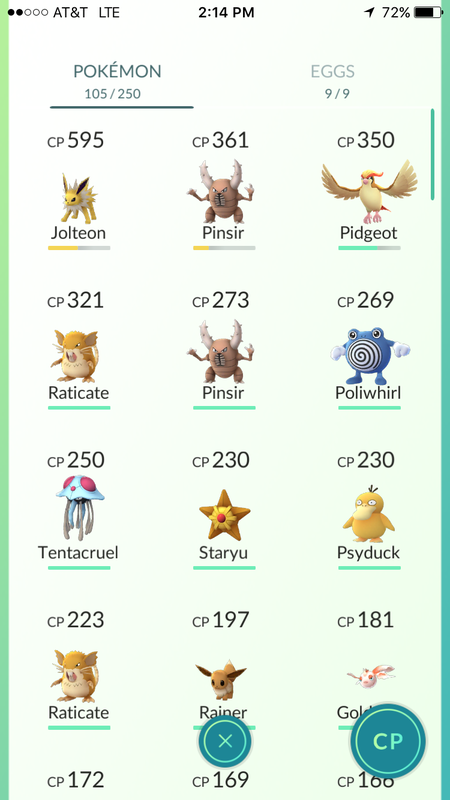 With the release of Pokemon Go, I’m now excited to walk around and explore. I’ve found new locations in my area thanks to this game, and I’ve lived here all my life. The game in Pokemon Go is secondary, the real pull is that it gives people a reason to explore and adventure. The draw of the Pokemon series is the exploration and collection. Traveling lands and encountering friends along the way. The concept still applies here, just in a real world context. I’ve driven around at 12:30, sometimes 1 in the morning stopping at churches and parks to catch Pokemon and find pokestops. While there is a danger in that, it’s also really exciting. In all honesty, I don’t think I particularly like Pokemon Go as a game, but I have figured out that I love exploring and Pokemon Go has finally given me an outlet to explore and utilize my imagination to its fullest potential. What do you think? Write down in the comments with your Pokemon Go experiences. Also, head over to my Twitter @kybitzed_ and click on that follow button or head over to my Instagram @Kybitzed. I couldn’t agree with this more, “The game in Pokemon Go is secondary, the real pull is that it gives people a reason to explore and adventure.” I’ve found so many cool places near where I live that I would never have seen otherwise.